Located in Woodhaven, MI Family Gentle Dentist is one of Downriver (Detroit Metro) area’s fastest growing dental offices. They provide general and cosmetic dentistry service for the whole family. The new owners and practitioners of this dental office hired us to completely revamp this website. Not only did we design it from scratch by applying a much better, fresh, airy design, but we also made it responsive so it is mobile – or any other platform – friendly. 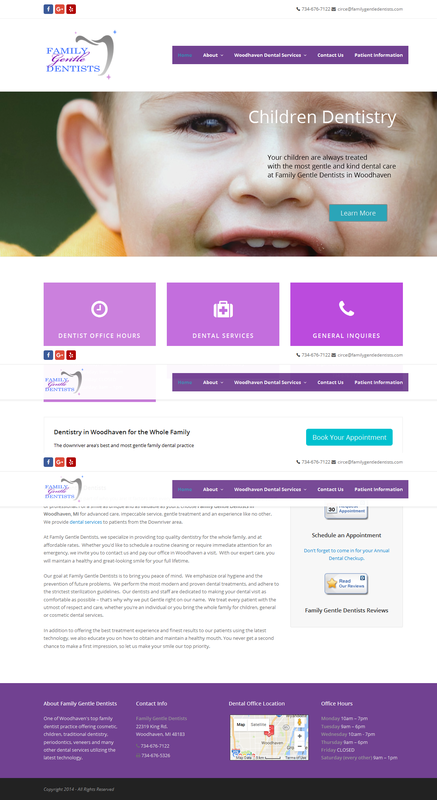 In addition, we created all the content for the pages of this dentist website.